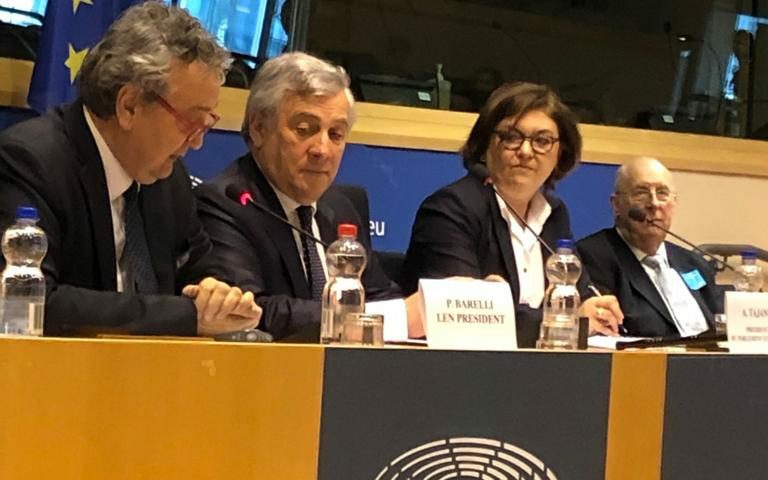 President Antonio Tajani welcomed LEN’s and its 52 member federations’ efforts to make swimming a Pan-European activity. “Swimming unites and involves millions of people and plays a decisive role in improving their health” he said. The president recalled that over a third of the people in Europe do not perform any physical activity. “For this it is necessary to raise awareness among the very young about the need to have an active a lifestyle, healthy diet, stay away from smoking or excessive consumption of alcohol. 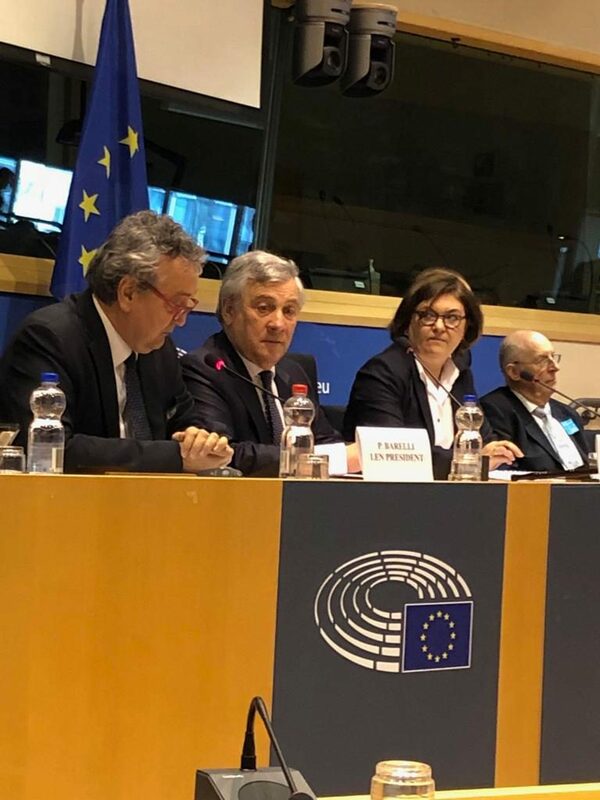 Combating inactivity is fundamental to health, to prevent cardiovascular diseases and to have healthy adults” Mr Tajani warned. As the EU Parliament President highlighted, many communities, cities and regions of Europe had already made sport an important element of strategies for health, tourism and urban planning. “This is why I consider your project important. Sport goes beyond walls and barriers, builds stronger European citizenship. You are a point of reference for the sports community of our continent, the demonstration of a Europe that works and cooperates in the interest of citizens” he said and described LEN’s ‘Learn to Swim’ programme as a project which demonstrates that thousands of lives can be saved each year by swimming. LEN President Paolo Barelli, in the presence of fellow LEN Bureau Members and the project managers, shared some shocking numbers at the session. According to the World Health Organisation’s (WHO) statistics, more than 28,000 people drown in Europe each year (372,000 worldwide), three in every hour, most of them children aged 3-12. The number near-drownings is 200 times higher than the fatal ones and these cases represent a considerable costs for the governments. “Over the next ten years more than a quarter million people will die in Europe due to drowning if the issue isn’t tackled” warned the LEN President. 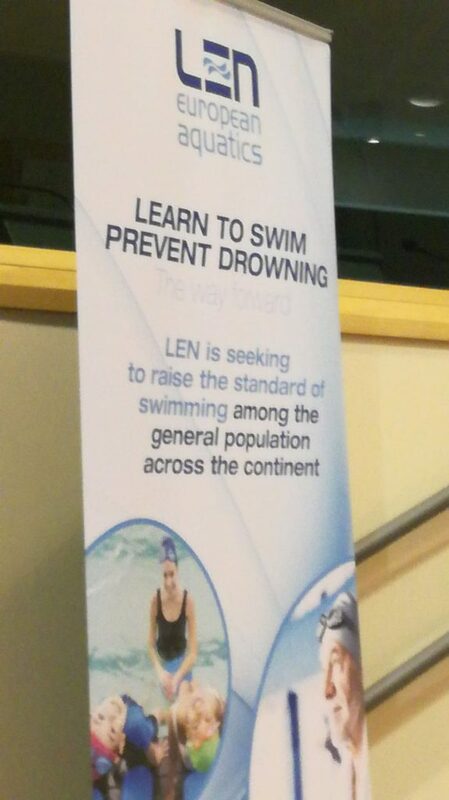 LEN has launched the ‘Learn to Swim, Prevent Drowning’ project in late 2017 “to ensure pan-European standards for learn-to-swim and to spread the culture of water through our member federations as well as offering them a ready-made project with all the necessary tools to run successful programmes” the LEN President concluded. Adina-Ioana Valean, Chair of the EU ENVI Committee was very pleased with the session. Adding to her opening remarks, she said that the European Parliament should back this programme and support LEN as the European federation, through its members, has all the necessary connections with the people working on the ground to implement and run a really effective programme which helps shaping a better future in Europe.